With strong ties to the Scandinavian country of Norway, the history of Cognac Tiffon dates back to 1875. Tiffon is to this day a family run business, and is based at the beautiful family home, the Chateau de Triac, just 5 kms from the town of Jarnac. The Chateau itself has a battle-scarred and convoluted history, dating back to the 11th century, which includes being razed to the ground by fires and completely demolished during the Hundred Years’ War. Today, the family grows 40 hectares of Grande Champagne and Fins Bois vines, overseen by cellar master Richard Braastad, who comes from an old cognac producers’ family. Tasting notes by Tiffon Cognac: Fruity notes combined with pleasant fresh oak character with an aftertaste of nuts and vanilla. Tasting notes by Tiffon Cognac: Rich and generous palate. Sultanas, grapes, plumbs, orange, marmelade, vanilla and vinous spirit with elegant oak, nutmeg and cinnamon spice. 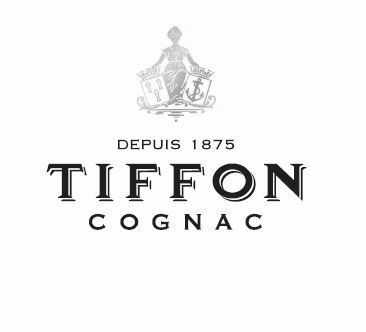 Tasting notes by Tiffon Cognac: This well-matured cognac has primary notes of dry apricots and ripe plum. Hints of walnut and light spices give it great force and a delicate finish with the flavor of rancio. Strong rancio sense, characteristic aroma and flavour, with strong floral elements. In 1875, La Maison Tiffon was founded in Jarnac by Mederic Tiffon. It was his granddaughter. Edith Rosseau, who created the link with the Braastad family in 1913, when she married Norwegian born, Sverre Braastad. Sverre, originally from Gjavik in Norway, had moved to France at the young age of 20, where he joined Cognac Bisquit as a sales representative. He left Bisquit after the Great War to resurrect his wife’s family business – hence the company Cognac Tiffon SA was born. In 1946, they purchased the Chateau de Triac, where Sverre happily lived out the rest of his impressive 100 years until he died in 1979. He retired from official duties in 1950 and was succeeded by his three sons, Erik, Christian and Jacques. To this day, the Tiffon cognac estate remains in the capable hands of the Braastad family. Another of Sverre’s sons, Robert, along with his grandsons Richard, Jan and Antoine run the business, with Richard holding the responsibility of cellar master. With close on one and a half centuries of knowledge having been passed down through the generations, Cognac Tiffon still creates eaux-de-vie in the traditional manner, staying true to its roots. The complete production, from growing and tending the vines, to wine production, distillation, aging, blending and bottling, all takes place within the company. Today, Tiffon owns two distilleries – one at the family chateau and another in the Charantais town of Jarnac. Their produce is stored in eleven warehouses, where 12.000 oak barrels are stored to age the cognac. Cognac Tiffon is a much respected brand and the house produces a range of cognacs from a VS upwards. Long appreciated in France for the quality of its cognac, in 2003 the Tiffon VSOP won a trophy award at the International Wine and Spirits competition. The flagship product of Cognac Tiffon is the “Chateau de Triac Réserve de la Famille”, which is matured for a minimum of 50 years. It is possible to hire out rooms in Chateau de Triac for seminars and courses. They also offer accommodation for up to 16 people. Contact Cognac Tiffon for details.